As the weather warms up, it's time to hit some 夏フェス (Natsu Fesu - summer festivals). There are plenty to choose from in the Tokyo area, from monster outdoor festivals like Fuji Rock Festival to smaller indoor livehouse events like Japan Shoegazer Festival. At the bottom I have listed most of the other upcoming music festivals throughout Japan. 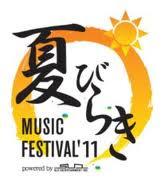 This is a series of mini-festivals throughout summer held at a venue set up on the beach in Zushi. From June 24th to August 28th. There are different genres each day, from rock to dance to pop, from Special Others to Ken Ishii to orange peckoe. Different prices for different days, from 2000yen to 7000yen. A ticket to this indie rock festival gains you access to 15 venues in Shimokitazawa. SAKEROCK, Otogibanashi, SEBASTIAN X, Sokabe Keiichi Band, nhhmbase, group_inou, Tokyokarankoron, DODDODO, Nikaido Kazumi, Kicell, GELLERS, YOUR SONG IS GOOD, more. 4500yen advance, 5000yen on the day. Pia (code 135-301), Lawson (code 71711), eplus, Shimokitazawa venues. See Japan's best noisy guitar pop bands at High, Koenji's temple of shoegazing. Koenji HIGH and AMP cafe. cruyff in the bedroom, Lemon's Chair, sphere, texas pandaa, Aureole, my dead girlfriend, SPEAKER GAIN TEARDROP, shojoskip, sugardrop, lily of the valley, moskitoo, swimmingpoo1, shelling, tanaka ken, DJs. Large rock festival organised by Asian Kung-Fu Generation. From Pia (code 134-801), Lawson (code 79952), eplus. Japanese indie band festival held in a park in Tsukuba. 1 day 3900yen, 2 days 6900yen. Peaceful family festival in beautiful surroundings northwest of Tokyo. 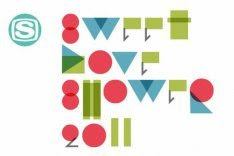 Day One: Sokabe Keiichi BAND, YOUR SONG IS GOOD, youmoutoohana, Kuricorder Underground, SOUR, Gentle Forest Jazz Band, more. Day Two: bonobos, Kicell, Ovall, D.W. Nicols, Yoshida Yamada, BLACK BOTTOM BRASS BAND, more. 1 day 3900yen, 2 days 7000yen. Lawson (code 76355), Pia (code 137-722), CN, eplus. 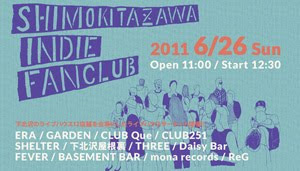 Tiny record store/live venue Enban's favourite experimental acts perform on two stages over two days at Shibuya O-Nest. July 16th (Sat) and 17th (Sun). Day One: LSD March, ECD & POPO, CORE OF BELLS + Taku Sugimoto, VIDEOTAPEMUSIC & PROMNIGHTBOYS, more. Day Two: Acid Mothers Tenniscoats, Nisennenmondai, Americo, Yoshihiro Kawasome, Suppaband, more. Giant festival with multiple stages in the mountains of Niigata. Day One: COLDPLAY, ARCTIC MONKEYS, BIG AUDIO DYNAMITE, CSS, SISTERS OF MERCY, The Birthday, WASHED OUT, DEERHOOF, FOUR TET, WIDESPREAD PANIC, SAM MOORE, more. Day Two: THE FACES, TOKYO SKA PARADISE ORCHESTRA, BATTLES, INCUBUS, ASIAN DUB FOUNDATION, the HIATUS, DIGITALISM, KIMONOS, 80kidz, WIDESPREAD PANIC, TODD RUNDGREN, CONGOTRONICS vs ROCKERS, more. Day Three: THE CHEMICAL BROTHERS, YELLOW MAGIC ORCHESTRA, MOGWAI, FEEDER, WILCO, CAKE, ATARI TEENAGE RIOT, envy, BEACH HOUSE, QURULI, TOWA TEI, DARK STAR ORCHESTRA, CORNERSHOP, BUDDY GUY, more. One day 16,800yen, 3 days 39,800yen. Camping 3000yen. Large three-day festival focusing on Japanese rock and pop artists. Kokuei Hitachi Kaihin Koen in Hitachinaka-city, Ibaraki. Day Two: ORANGE RANGE, capsule, HALCALI, Kimura Kaela, ZAZEN BOYS, Dragon Ash, Unicorn, YUI, Chara, RIP SLYME, SOIL & "PIMP" SESSIONS, more. Day Three: ACIDMAN, BRAHMAN, THE ELEPHANT KASHIMASHI, KREVA, PUFFY, te', NICO Touches the Walls, B-DASH, ART-SCHOOL, the band apart, NEGOTO, more. 1 day 11,500yen, 2 days 22,000yen, 3 days 30,000yen. Friendly ska festival held near Mt.Fuji. Indoor reggae event held in Yokohama. 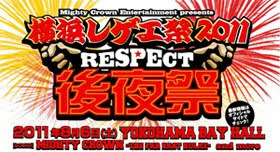 MIGHTY CROWN FAMILY, PUSHIM, RYO the SKYWALKER, JUMBO MAATCH, TAKAFIN, BOXER KID from MIGHTY JAM ROCK, Special guests from Jamaica, HOME GROWN, STONED ROCKERS, more. Arena/Stand S 7800yen, Stand A 6800yen. Electronic and quirky pop festival held in a Tokyo park. Yumenoshima Koen Rikujokyogijo in Shin-Kiba. Pia (code 132-676), Lawson (code 72912), eplus, CN, Kyodo. Summer Sonic's warm-up rock and dance festival. Underworld, Primal Scream present Screamadelica live, Boom Boom Satellites, Chase & Status, A-TRAK, autoKratz, Jamaica, South Central, Vitalic. Huge commercial and indie music festival held in urban Chiba. Day One: THE STROKES, BEADY EYE, KIMURA KAELA, NE-YO, RIP SLYME, THE MARS VOLTA, SIMPLE PLAN, DEATH FROM ABOVE 1979, KORN, THE HORRORS, ZIGGY MARLEY, ARRESTED DEVELOPMENT, VILLAGE PEOPLE, more. 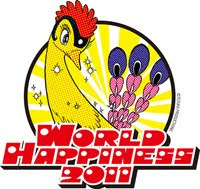 Day Two: RED HOT CHILLI PEPPERS, X JAPAN, P.i.L, THE JON SPENCER BLUES EXPLOSION, SUEDE, JAMES BLUNT, BOW WOW WOW, HOUSE OF PAIN, FACT, VILLAGE PEOPLE BOOTSY COLLINS, MAXIMUM THE HORMONE, more. 1 day 15,000yen, 2 days 27,000yen. Pia (code 134-175), Lawson (code 77777), CN, JCB. Earthquake charity event brings noise artists and dance music together. WHITEHOUSE/CUT HANDS, HIJOKAIDAN, KEIJI HAINO, MERZBOW, OTOMO YOSHIHIDE, FISHMANS+, STEWART WALKER, ISAO TOMITA, JEFF MILLS, EYE, KEN ISHII, TOWA TEI, more. This Japanese rock festival in Chiba will be held on two days this year. Yu Yu Park, Abiko, Chiba. locofrank, UNITED, F.I.B, GARLICBOYS, IDOLPUNCH, MEANIING, kamomekamome, FCFiVE, DEEPCOVER, Gocoo, more. Dance the night away at this electronic music festival. Agoria, Beroshima, Mark Broom, Dop, Dr. Shingo, Dubfire, Len Faki, Ken Ishii, Takkyu Ishino, Takaaki Itoh, Ben Klock, Shin Nishimura, Radio Slave, Rainbow Arabia, Snuff Crew, Sodeyama, Daniel Steinberg, Fumiya Tanaka, Tasaka, Westbam, more. Pia (code 138-130), Lawson (code 78740), e+, CN, 7-11. Japanese rock and pop festival organised by a TV channel. August 27th (Sat) and 28th (Sun). Lake Yamanaka Community Plaza Yamanakako-village, Yamanashi. Day One: andymori, HY, Okamura Yasuyuki, Ryujin Kiyoshi, salyu × salyu, HiGE, BRAHMAN, The Mirraz, YOUR SONG IS GOOD, more. Day Two: Kegawa no Maries, Sakanaction, SAMBOMASTER, SISTER JET, [Champagne], SEKAI NO OWARI, NICO Touches the Walls, THE BAWDIES, more. 1 day 9,000yen, 2 days 17,000yen. 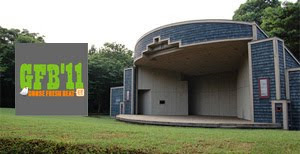 Three classic rock groups will perform in Hibiya park. Hibiya Park Open Air Concert Hall. Pia (code 142-569), Lawson (code 72430), eplus. 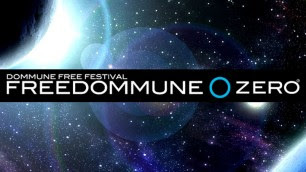 Electronic and rock music festival which always has an interesting lineup. Leftfield, The Flaming Lips, Tim Deluxe, Orbital, Cut Chemist, Moodymann, Galactic, Stevie Salas, Derrick May, minilogue, Gold Panda, DUB SQUAD, Nanao Tavito, Nisennenmondai, DEEP COVER, rega, EYE, DJ BAKU, GALAXY 2 GALAXY, Ebo Taylor and Afrobeat Academy, rei harakami, more. Small indie festival in Tokorozawa. SOUR, COMA*, 4 bonjour's parties, miaou, Choir touched teras chord, more. 2300yen advance. 2900yen on the day. Even when summer is coming to an end, you can still enjoy a few festivals around Tokyo. 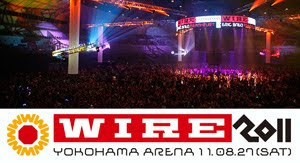 October 15th at Saitama Super Arena. November 19th at various venues in Shibuya. Probably October 8th, not announced yet. Here are the highlights of the summer festivals in other parts of the country. July 16th, 17th & 18th.